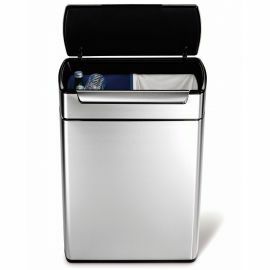 This classic, all-steel, stylish two compartment kitchen recycling bin makes it easy to sort your recycling. 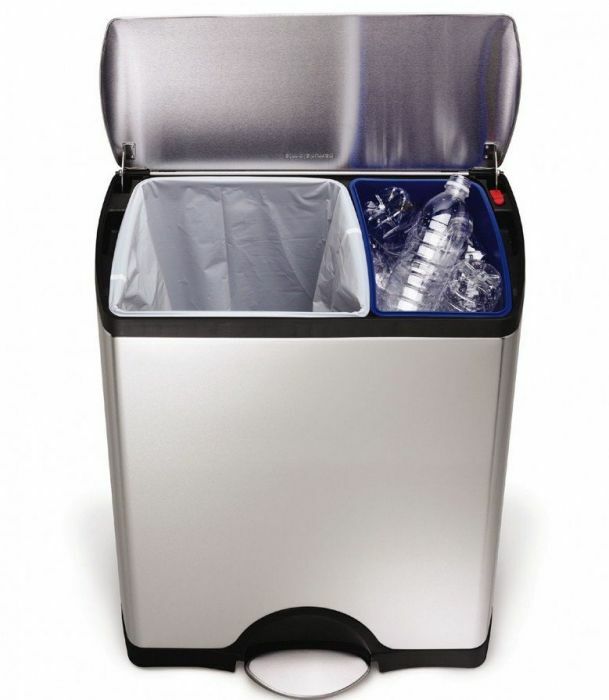 The Simplehuman CW1830 has two inner buckets of 30 Litres and 16 Litres and a wide opening to help you sort your recycling in the kitchen. 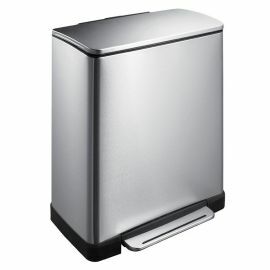 This bin looks smart and stays that way with its stainless steel finish with a fingerprint-proof coating and is smooth and quite with its soft close lid. The internal slim profile hinge means the bin will fit flush against the wall or island unit for copious capacity in a space saving shape. The lid opens and closes smoothly and silently with Simplehuman's patented soft-close technology and has a stay open lock for longer chores. The durable all-steel pedal mechanism is engineered for years of use: tested to last over 150,000 steps. If your budget won't quite stretch to this all-steel version take a look at the Simplehuman CW1974 which has all the same features except that it has a wipe-clean plastic lid. To get the best out of your new recycling bin use Simplehuman's custom fit liners - they are really strong and some customers find they can use them more than once, particularly for dry recycling such as plastic and cardboard. 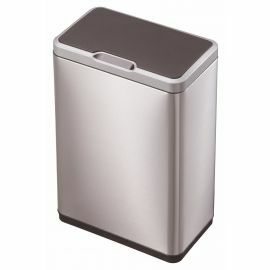 The Simplehuman H Liners (CW0258) fit the larger 30L compartment and the V Liners (CW0269) fit the smaller 16L bucket.